Recently had a need to reverse the count for an asp.net Repeater for one of my pages. My google searches: DESC Container.ItemIndex, reverse repeater count, ItemIndex(), etc. Much of the code I found either didn’t fit into my code or required behind code rework that I wasn’t willing to do until necessary. I hope someone else can use it! This entry was posted in Web Development on March 24, 2017 by a8le. It’s been a while since I have had to think about renewing my hosting. 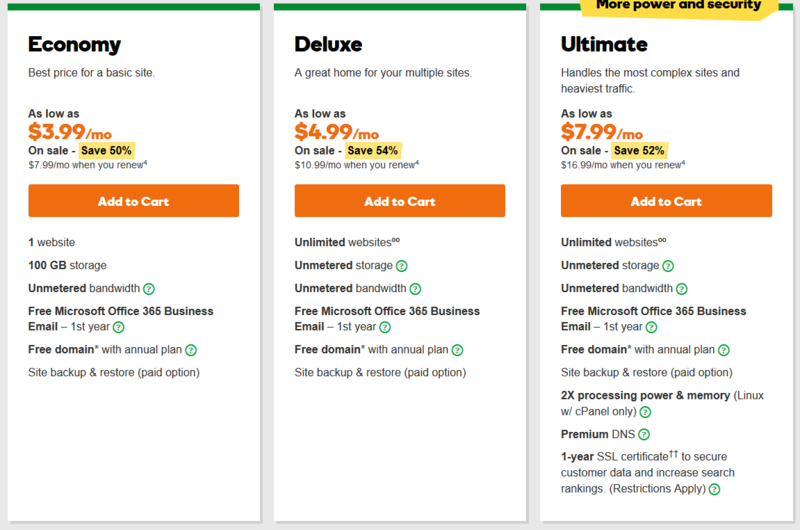 GoDaddy was the first place I checked for prices. That’s where the deals used to be. That doesn’t seem the case anymore! Having to move hosting companies can be a headache, so before you commit yourself like I did to their introductory low prices… shop around! There is a plethora of hosts out there (none posted here, I am not a promoter), many with similar packages with cheaper prices. *Additionally, you will not have to worry about the “when you renew price.” GoDaddy used to have renewal coupons, but it’s been years now since they stopped offering them. This entry was posted in My 2 Cents on March 23, 2017 by a8le.